Seller droped the asking price! 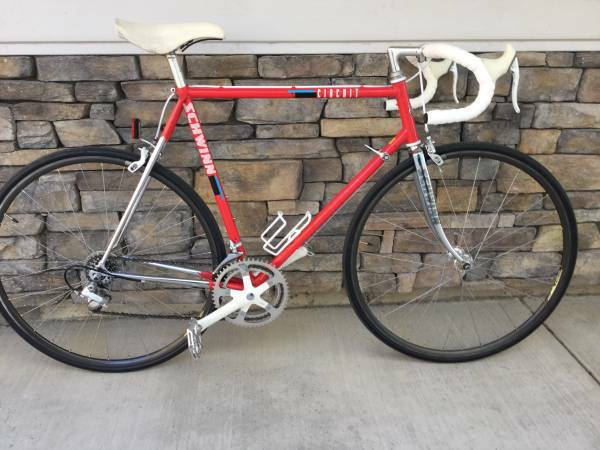 I had the opportunity to buy an 88 Schwinn circuit on CL San diego for $280 on christmas Eve! Didn't move on it though and someone else got it the next day and is trying to flip it for $450 now. Yeah , Those get pretty good money. I would guess it is because those who have had the chance to own or ride one see the value. I never rode my buddy's bike , I can only go by his word on the ride quality. Columbus tubing bikes have a certain stiffness that can be felt when riding them. i have a couple of early racers with Columbus tubing that definitely feel nice when climbing or accelerating.